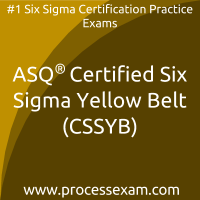 My father told me that practice is necessary for getting good percentage in the ASQ certified yellow belt certification exam. I did the same on the site processexam.com. It has very good and very real questions that gave me an idea of the actual exam.